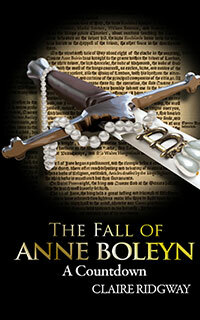 On the 2nd April 1536, Anne Boleyn’s almoner, John Skip, preached a rather controversial sermon in front of the King. Skip’s theme was “Quis ex vobis arguet me de peccato?” or “Which of you can convict me of sin?”. Skip spoke “defending the clergy from their defamers and from the immoderate zeal of men in holding up to public reprobation the faults of any single clergyman as if it were the fault of all.” He also used the example of the Old Testament story of King Ahasuerus “who was moved by a wicked minister to destroy the Jews” but Queen Esther stepped in with different advice and saved the Jews. In Skip’s sermon, Henry VIII was Ahasuerus, Anne Boleyn was Queen Esther and Thomas Cromwell, who had just introduced the Act of Suppression of the Lesser Monasteries into Parliament, was Haman, the “wicked minister”. Anne Boleyn, who must have been behind this sermon, believed in reform and tackling abuse and corruption, but felt that reform should only be carried out where necessary and that the money from dissolved monasteries should be spent on poor relief and education, rather than going to the Crown. 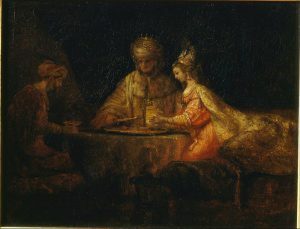 She did not agree with what was going on and the advice the King was receiving. The sermon was an attack on what had been debated in Parliament and it was a statement on Anne’s stance and her beliefs.